What is Heating Oil and Why Use it? Heating oil is a type of oil that can be used to heat up the inside of a home. It does not matter the size of the home; the right size system can dispense heat throughout it. This is an efficient way for many home to obtain the heat that they need throughout the winter months. 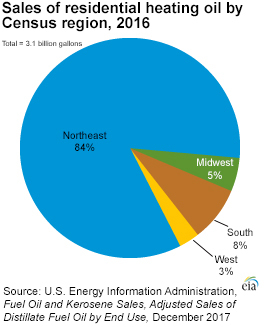 Currently, around 6 million households throughout the United States choose and use heating oil for their heating needs. Some of these homes also heat their water with the same heating oil, though they do it in smaller amounts than what you would find with traditional water heaters.